Nurse Kaci Hickox speaks to the press, Oct. 31, 2014 in Fort Kent, Maine. “I am humbled today by the judge’s decision and even more humbled by the support that we have received by the town of Fort Kent, the state of Maine, across the United States and even across the border,” Hickox, 33, told reporters today from her home in Fort Kent. A judge in Maine this morning ruled that Hickox could leave her home and spend time in public spaces despite other state officials’ attempts to force her into a mandatory quarantine until a 21-day potential Ebola incubation period ends. The judge noted in his ruling that although the state’s fears may be irrational, they are real and Hickox should be mindful of them. Maine Gov. 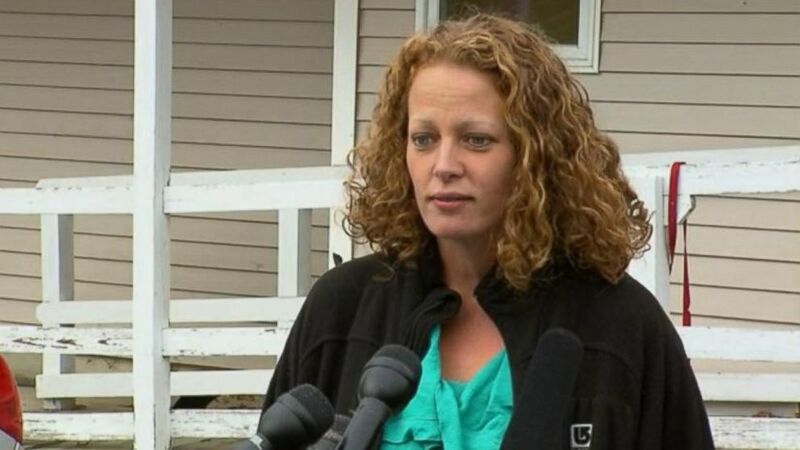 Paul LePage attempted to force Hickox to take a blood test for Ebola to prove she doesn’t have the deadly virus. Hickox tested negative for Ebola twice in New Jersey and experts have said a person must be symptomatic to test positive. Hickox has not shown any Ebola symptoms, she said. Hickox had been treating patients in Sierra Leone with Doctors Without Borders before she returned to the United States and landed in Newark Liberty International airport a week ago. Upon landing, she was questioned for six hours and quarantined in an isolation tent through the weekend. “From that moment, I knew I wasn’t alone,” Hickox said via Skype during a press conference this evening. On Monday, she was allowed to drive home to Maine. Once there, officials first suggested a voluntary quarantine and then sought to legally enforce it. But Hickox said she wouldn’t comply because the quarantine rules weren’t “scientifically valid.” She said she fought the quarantine for all the other health workers expected to return from West Africa in the coming weeks. The Centers for Disease Control doesn’t require quarantines for returning health workers who wear protective gear because they can’t spread the virus unless they are symptomatic for Ebola and others come into contact with their bodily fluids. According to the judge’s order, Hickox will need to agree to active monitoring and coordinate her travel with health authorities. She must also report any symptoms she experiences to public health authorities. A hearing has been scheduled for Tuesday, which is Election Day, but government offices are still open in Maine, Hickox’s lawyers said. Hickox said she planned to spend Halloween evening eating her boyfriend’s cooking and watching a scary movie. She said she won’t be able to take trick-or-treaters because she hasn’t been able to buy candy. This evening, Hickox reiterated that she fought the quarantine for her fellow public health workers. “I hope that one day if I can meet some of them at the airport, I can give them a big hug and let them know that we are in this together,” she said, adding that she hopes “science and public health” can again be the focus of the Ebola outbreak, rather than politics.